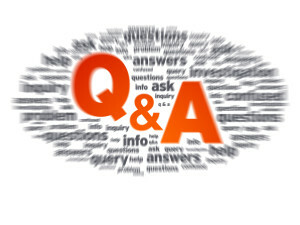 Blurred Questions and Answers illustration on white background. When it comes to technical SEO audits, log analysis has become a key part. It is through server logs that we understand the way in which search engine crawlers react with our website and a close analysis of server logs can also lead to discovery of SEO insights which you may not have considered otherwise. There are several tools which are available to assist you with server log analysis and the one that is perfect for you will depend on your technical resources and knowledge. 3 types of log file analysis tools which you would require considering are Excel, Open Source Tools and Paid Tools. Here are some common SEO questions answered. Which bots gain access to your website? Log servers usually follow a pre-set format. When you initially start log analysis, you should not only supervise the activity of search bots but also some prospective spambots which can generate issues of performance, scrape your content or pollute your analytics. If you get suspicious bots, you should analyze the behavior of the bots and check their activities. Within a selected time period, how many events did they have? Do you think their appearance coincides with other analytics or performance issues? Do all of your search engine bots access your webpages? Once you recognize the bots which visit your site, it’s high time you focus on the search engine bots to ensure that they’re successfully getting access to your resources and pages. With the “userAgent”, you can easily choose the ones which you wish to analyze or you can even search for them by their name. Once you filter your search, you may choose the graph option to monitor their activity over time. Identify the bots which have the highest time of activity on your site. Which are the top-crawled pages of the search bots? While you search for your desired bot, you may choose the “requestURI” filter in order to get the top web documents, whether pages or resources or which the bot is requesting. It is possible to review these directly within the interface and export them to a doc where you may decide whether or not they’re top-priority pages. So, if you’re into technical SEO, by going through the above mentioned questions and by explaining how they can be answered by utilizing log analysis, you can strengthen and expand your SEO efforts.